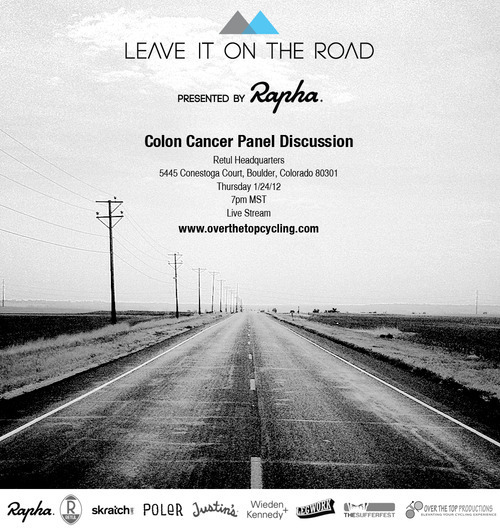 This Thursday 1/24 at 7pm MST Andrew and Michael will be appearing on a panel to discuss the ride as well as talk about colon cancer with colon cancer survivors and an oncologist. The event is hosted by our sponsors Retul and Over The Top Productions. The event starts streaming at 7pm. If you’re planning on attending in person, please be there by 6:30 at Retul(5445 Conestoga Court, Boulder, Colorado 80301).